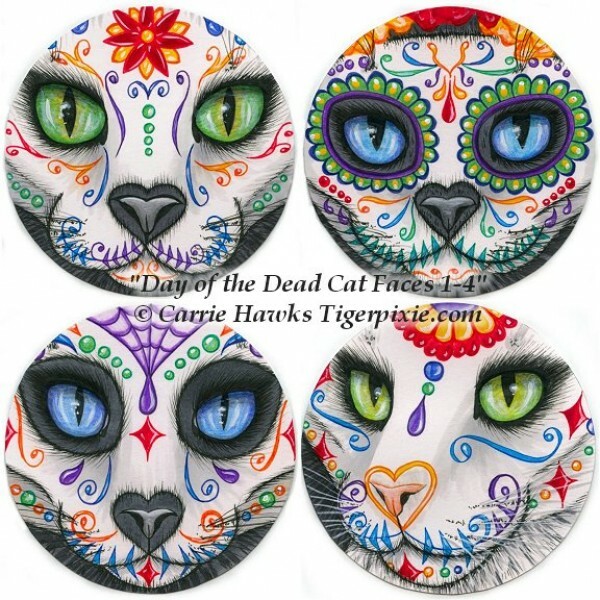 Day of the Dead Cat Candles - Prints - Día de los Muertos Gato, A gorgeous black and white cat weari..
Day of the Dead Cat Candles - Original Painting - Size; 11" x 14" Medium; Acrylic on Canvas Sheet.&n..
Day of the Dead Cat Face 3 - Original Drawing - Size; approximately 4" Round, Medium; Copic Markers,..
Day of the Dead Cat Face 4 - Original Drawing - Size; approximately 4" Round, Medium; Copic Markers, Pen and Colored Pencils on Bristol Paper Mounted to Gold Glitter Back Cardboard Coaster. 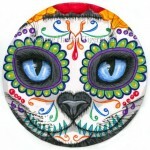 2016 - Día de los Muertos Gato, A striking circular illustration of a cat painted as a sugar skull cat for the Mexican holiday Day of the Dead. 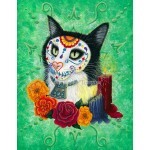 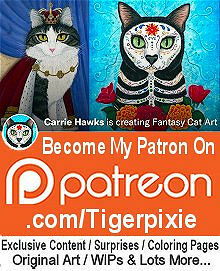 This image is based off of my original "Day of the Dead Cat Candles" painting. 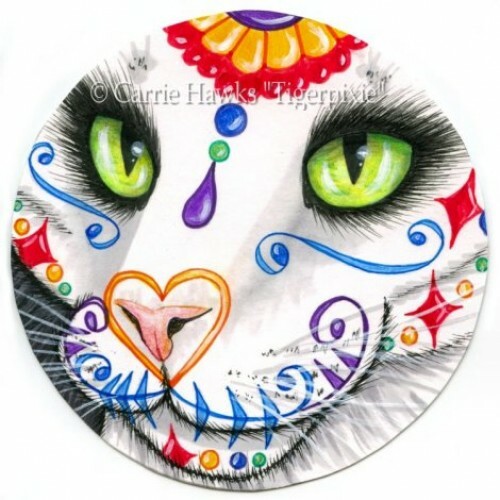 Title, Date & My Signature are all on the back of the coaster. 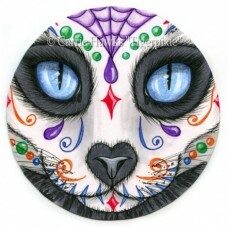 Day of the Dead Cat Face 3 - Original Drawing - Size; approximately 4" Round, Medium; Copic Markers, Pen and Colored Pencils on Bristol Paper Mou..